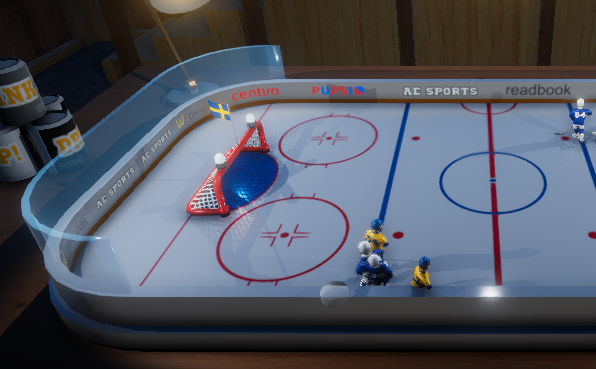 What to do when the puck is hidden behind the rink? I don't want to change the camera angle since that will affect the controls of the game and most likely confuse the human players. A UI indicator is very messy and covers up even more of the screen, so I decided to go with option 3. My initial idea was just to change the geometry rendering layer and render the puck above everything else. However this turned out to be a really bad idea as the sense of depth was completely lost. Making it look like the puck was flying when on ground. So instead I started writing a shader that produces a sillouette for the puck when something is in the way. 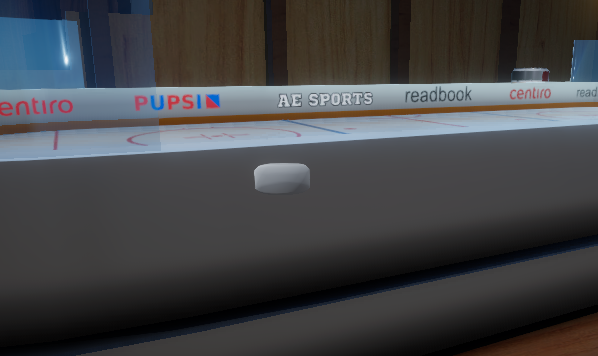 I also added a bit of transparency to it so we don’t get the “puck flying” feeling again. This is a two-pass surface shader In the first pass we render the sillouette transparent without culling any faces and depthtest set to GEqual. This will make it render not just the surface but also the “shape” of the object. GEqual makes sure that we only render the sillouette if it is behind something else. We also disable lighting when doing this. 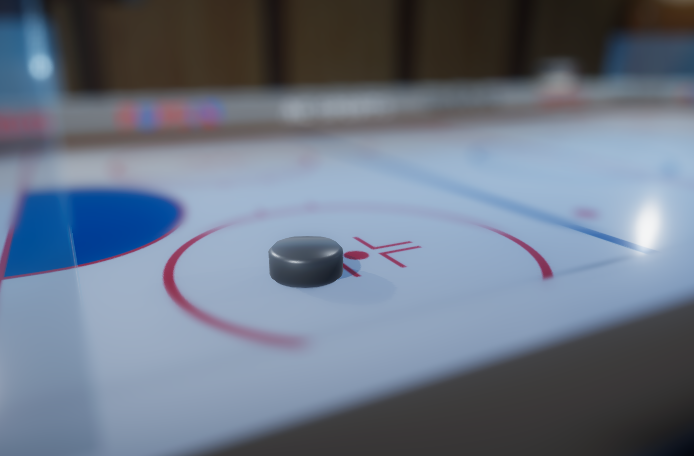 In the second pass we just render the puck as normal, resetting culling, depthtest and lighting. The neat thing about this is that we can change the sillouette color and transparency directly in Unity.